Help your school earn free educational equipment one receipt at a time! Stores that participate in the Register Tapes for Education program are committed to making a difference for the communities that their customers call home. Through this program, these retailers provide free educational equipment and supplies to local accredited non-profit public and private schools, kindergarten through high school. 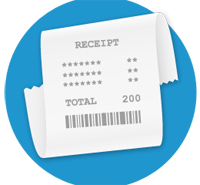 Simply collect register receipts from a participating supermarket and donate them to your school. Once the school deposits the receipts, they are converted into points and redeemed for equipment and supplies from the program catalog. Find out which stores and schools are participating in your area. 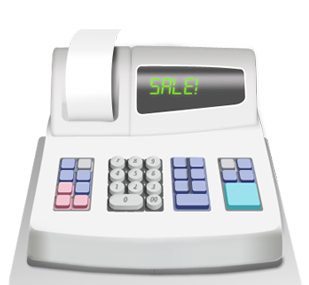 Parents, supporters, faculty and staff shop at a participating Register Tapes for Education retailer and save their shopping receipts. The school’s coordinator collects, bundles and sends the receipts to the Register Tapes for Education Headquarters. Parents and all supporters donate their receipts to a local school that is participating in the program. Once received, a school’s deposits are converted into points and redeemed for free equipment and supplies from the program catalog.